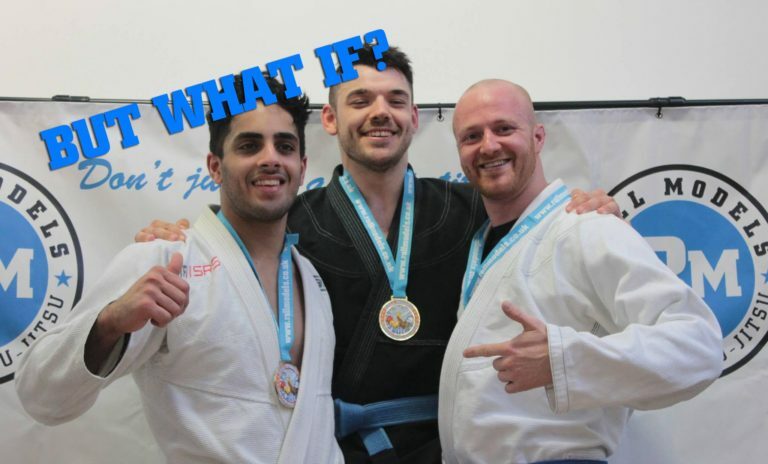 Should I enter a BJJ competition? Enter a competition, any competition! But what if I get injured? But what if I let my coach down? But what if I look stupid? You may or may not have heard of the book “The Chimp Paradox” by Steve Peters. The book rose in popularity largely due to its association with members of the hugely successful British Olympic Cycling team. In basic terms Peters talks about two areas of the brain the “Chimp side” and the “Human side”. The chimp side of your brain can be impulsive, aggressive and act without calculation. The human side however takes time to consider the situation and acts accordingly. Peters mentions that you can often identify the chimp side of your brain by identifying the feeling and simply asking, do I want to feel like this? No? Well then this is the chimp side doing the talking and we need to calm it down and let the human side take over with a reasoned response. But what if I lose? Every grappler in the world has lost from Roger Gracie to Marcelo Garcia, also you are relatively new to the sport, so what? But what if I get injured? You train all year with relatively few injuries, there is a referee and you control tapping. But what if I let my coach down? I guarantee you now any coach worth his salt (never understood that phrase) is just happy you are competing regardless of the result. He/She has been there and they have lost before, probably many times. But what if I look stupid? It’s not the critic that counts, you know this. In a room full of likeminded competitors you are extremely unlikely to be judged, again they have been there. Take these nervous questions and answer them with a reasoned response. Your coach knows you’re ready and deep down you do to. As for “being ready” that’s also a comment I hear quite often. So what are you waiting for? It doesn’t matter where or what competition it is, sign up. You won’t regret it.